THE BOLSHOI. 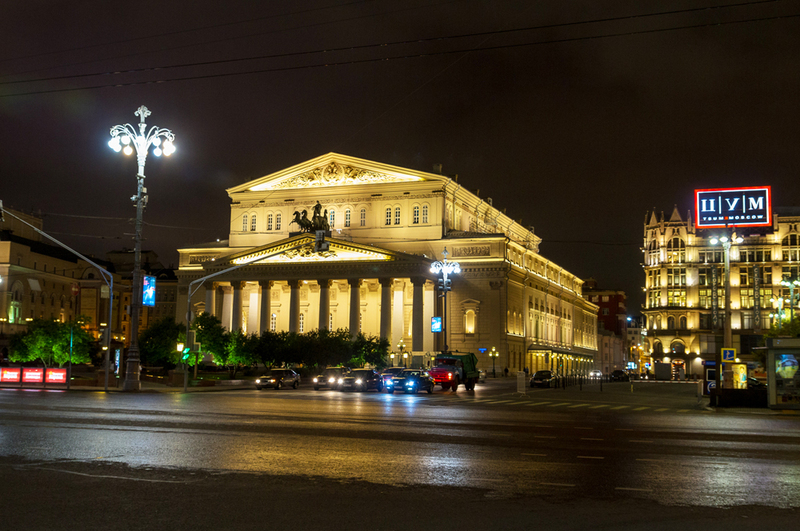 The Bolshoi is one of the greatest theatres in the world, with its own proud traditions and unforgettable atmosphere. The building itself is one of Moscow's most symbolic sites, a truly impressive example of Russian Classical architecture that faces the Kremlin walls, and some fairly tacky open air bars and restaurants, with proud indifference. The Bolshoi is the second biggest opera house in Europe (after La Scala), and grandeur and artistic strength are combined in everything from the impressive statue of Apollo that crowns the facade to the ballet's famously muscular style of choreography.